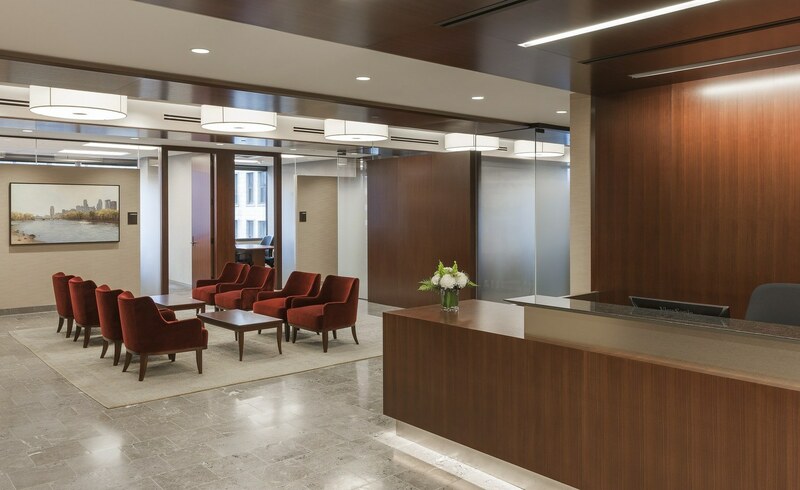 Moss & Barnett sought to refresh—rather than remake—its image when moving its 150-person law practice from the top floors of a downtown high-rise to a mid-rise a few blocks away. Occupying two full floors connected by a secured employee staircase, the interior follows a racetrack plan with private offices and board room along the window perimeters and administrative support workstations toward the center. 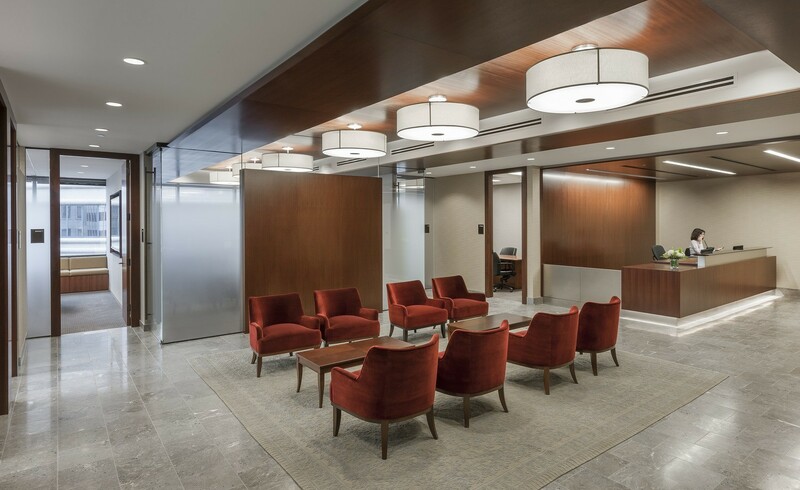 The reception area establishes a traditional aesthetic with walnut trim, limestone floors, fabric wall coverings, neutral-tone carpeting, drum lighting fixtures, and built-in client-convenience center with self-serve coffee and coat closet. 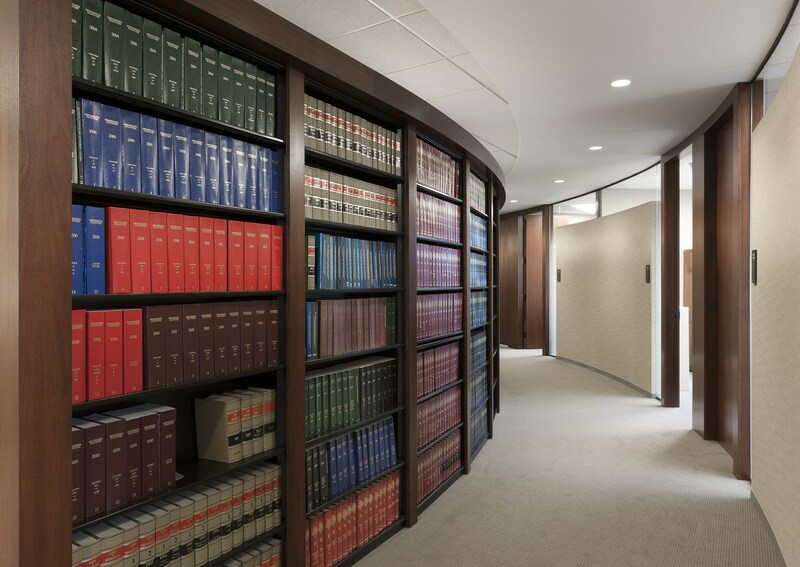 The traditional finishes carry throughout the office, from built-in book cases to efficient furniture systems. An employee cafeteria with weathered-oak laminate finishes is infused with natural light.